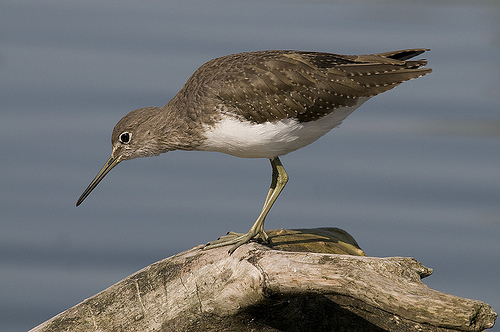 In western Europe the Green Sandpiper is a migratory bird in spring and autumn. It breeds in Scandinavia and Russia. The main difference between the Green Sandpiper and the Redshank is the colour of legs and beak. 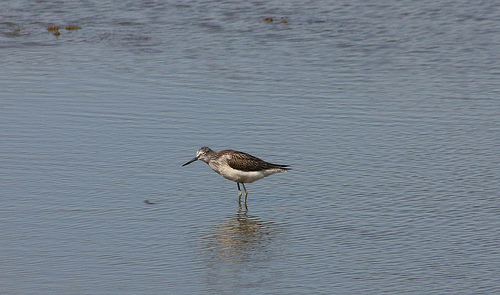 The Redshank has red legs and a red beak, the Green Sandpiper has greyish green legs.